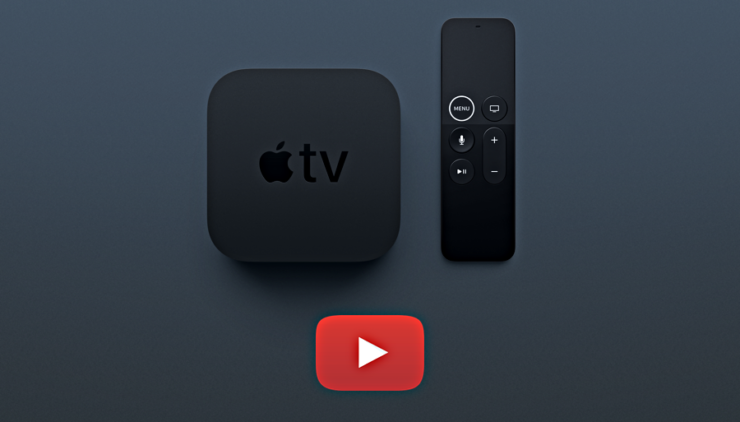 If you are an Apple TV user, then you will be pleased to learn that a brand new YouTube app has been released that is insanely revamped compared to the previous version. YouTube has been a mundane experience on the Apple TV for a long, long time. Even after the release of the Apple TV 4K, things didn’t look quite promising either. But rumors were floating around that YouTube was all set to revamp things up for the tvOS platform. Now though, that day has come and a brand new, totally revamped app for the Apple TV and Apple TV 4K has been released. If you own a Smart TV, then you will be surprised to learn that the tvOS version of the YouTube bears striking resemblance to it. It’s obviously a good thing because there is a lot going on in this version. For starters, on the design front, the app is now more ‘colorful’ and ditches the completely black background in favor of a new gray and red one. Also, the app now highlights videos that are 4K. Sounds exciting right? Wrong. Because apparently, while the app does highlight 4K content, it appears as though streaming content is still restricted to 1080p. If you’re asking me, that’s a huge fail. Whenever you start playing a video, you now see the progress of the stream as well. This means that you will know how much the video has loaded up, just like on every other version of the app on any platform. And while playing a video stream, you can even check out suggested videos and whatnot. The icing on the cake comes into play when you hover above a video thumbnail. As soon as you do that you’ll see a quick GIF-like preview of the video itself. It’s very handy actually, if you’re asking me. Given you already have the app installed on your Apple TV then the YouTube app should have automatically updated for you. If not, then you can head over to the App Store and download it from there. It’s absolutely free, of course.